We welcome OAPs on any day throughout the year at Deepdale Cafe, but on Wednesdays we offer a special OAP discount. You’ll receive a 10% discount off your main meal, plus free tea or coffee. Of course the permanent shops of Dalegate Market will be open - Keshco’s Supermarket & Fuel Station - Fat Face Clothing & Accessories - Gone Crabbing Seaside Inspired Gifts & Clothing - Relish Jewellery & Accessories Boutique - One Stop Nature Shop - The Hare & The Hen Gallery & Craft Shop. 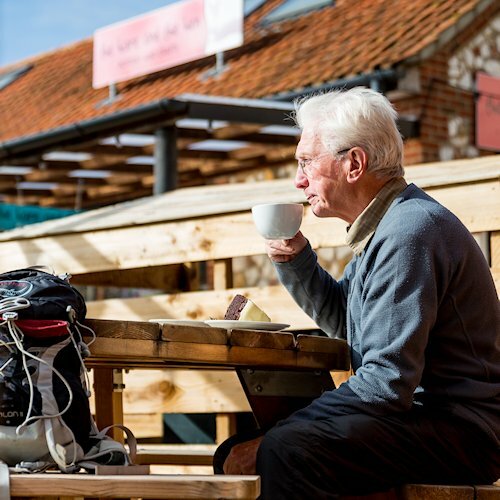 Senior Citizen Wednesday at Dalegate Market - We welcome OAPs on any day throughout the year at Deepdale Cafe, but on Wednesdays we offer a special OAP discount.